In today's donor-focused environment, the executive director has a greater responsibility to play an active, informed, and influential role in creating an environment that is conducive to optimal philanthropy. 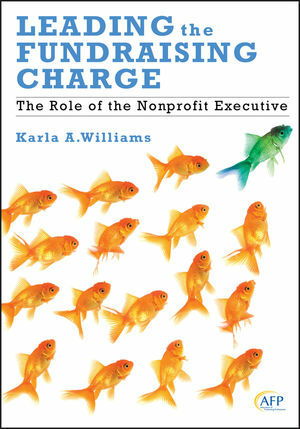 Leading the Fundraising Charge addresses the challenges and issues that executives face when leading a nonprofit organization that is dependent on philanthropic support..
KARLA A. WILLIAMS, ACFRE, is the principal of The Williams Group, a consulting firm serving clients across the country who want to enhance and expand their philanthropic efforts. She works with CEOs and trustees to assess their potential for civic engagement, create innovative nonprofit programs, and recruit talented people. She is nationally known and a highly respected industry leader, bestselling author, adjunct faculty at three universities, and expert in nonprofit organizational development.